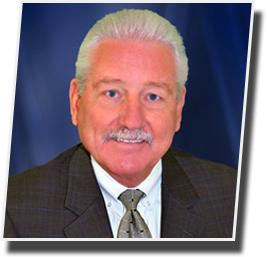 Bob Holmes is the Broker / Owner of Bob Holmes Commercial Brokerage and Bob Holmes Residential Brokerage. He started the company in 1995 following a 3-year tenure with Alliance Commercial Real Estate Company, serving as the President during the third year. 9.257 Acres of flat and partially cleared land located on the “HARD CORNER” ready for commercial development. Located in League City, TX, +-410 linear feet of frontage FM 518 (Deke Slayton Pkwy) and +-995 linear feet of depth. 4.906 Acres of land comprised of Four (4) tracts Containing 1.87 ac. ; 0.950 ac. & 2.086 acres. I have known Mr. Holmes for about 10 years. He has a reputation of being honest, thorough, generous and spiritual. I have known Bob Holmes and have had a number of dealing with him since 2001. He is knowledgeable and professional, and I have been very pleased with the results. Experience is important, and Bob has the ability to provide good advice and recommendations, as well as the patience to listen and explain things from a common sense approach. He gets the job done in a fair and timely manner. Need to Buy or Sell Your Property? Site Design & Developed by ENet Technologies.